Spring is a time for growth. Especially if you live in the North, the prospect of warmer days and greener trees growing everywhere is exciting! Even the thought of mowing the grass is fun–at first. Flowers will be blossoming, birds will be chirping and the world will just be cheerful all around. You also are probably excited at the potential to grow your business this Spring. Here are 5 free (or low cost to use) tools that Web Pyro has found to be incredibly useful in marketing and growing businesses online. Not only does it have a really good looking interface, but Asana is a great way to manage tasks with your team members. 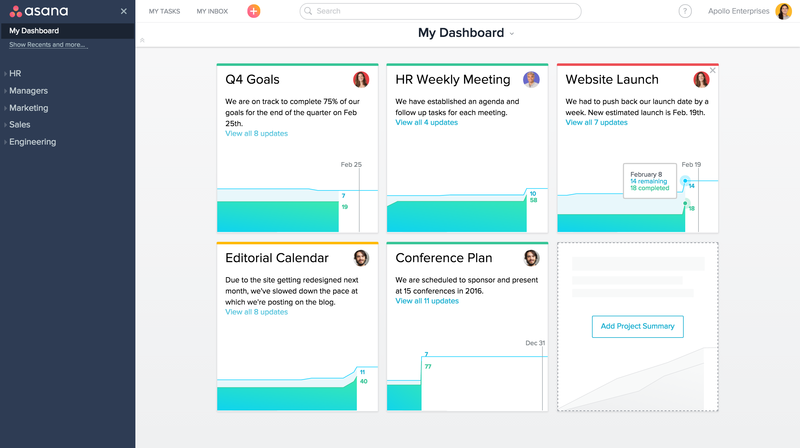 It’s perfect for everyone to see tasks and you can plug it into a number of different time tracking tools so you can manage tasks and how much time each project is consuming. It’s like virtual sticky notes except it’s much better! After all, sticky notes can get very messy when you’re trying to organize a couple of teams who are working on a half a dozen different projects. Asana makes managing projects easy and even a tad bit fun. Canva is an excellent marketing tool! Even if you’re not a graphic designer, you can produce all sorts great looking of marketing materials quickly. 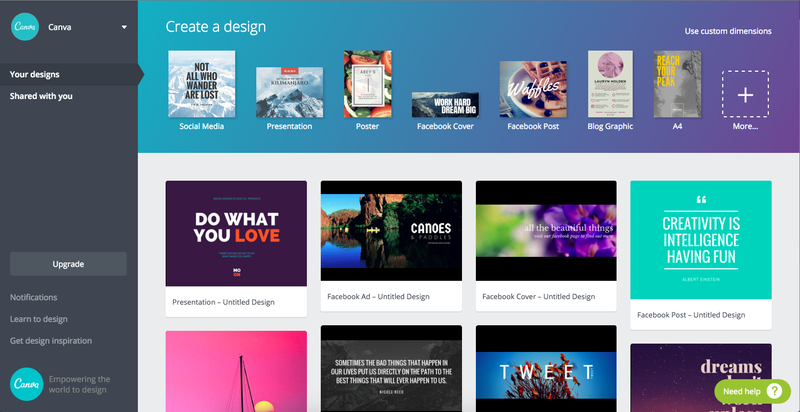 Canva has ready-to-go professional looking templates to get you up and running fast. And their graphic libraries are huge! Many of the graphics are completely free, so you can create professional looking social media graphics, flyers, brochures, business cards and newsletters quickly and at no cost. There are advanced tools like creating teams that allow you collaborate on projects with other team members to make sure your Facebook graphics, ads, and other marketing materials have a fresh look as well as great content! 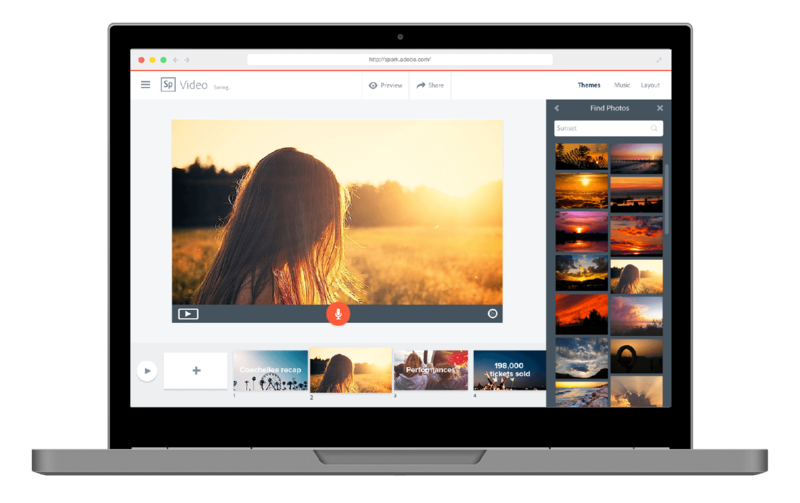 Spark is similar to Canva except it is for creating short animated videos. It has never been easier to create professional looking animated videos. Spark is not for creating feature-length films, and if you try to make something that’s longer than 3 or 4 minutes you probably better look elsewhere. But for a quick animated slideshow with numbers and graphics popping in with a lot of different animation styles, it is a great tool. And it of course is also free! Your dog might get jealous because Facebook Post Scheduler will be your new best friend! Everyone knows that social media is a great way to grow your business this year, but it can be difficult to keep up with everything on social platforms. If you don’t already take advantage of it, then definitly take a look. With this tool, you are able to schedule posts for an entire day in just about an hour or less. Gone are the days of having to set reminders on sticky notes all over your computer reminding you to post on your Facebook page. No one likes to see Facebook posts every hour of everyday so also be sure to space them out evenly. You cannot grow your business if you don’t follow up on the leads that are coming into your business. Insightly is a powerful way to manage your leads. Being a small business owner it can be hard to keep track of all your leads and customers. So this way it’s all handy in one website. 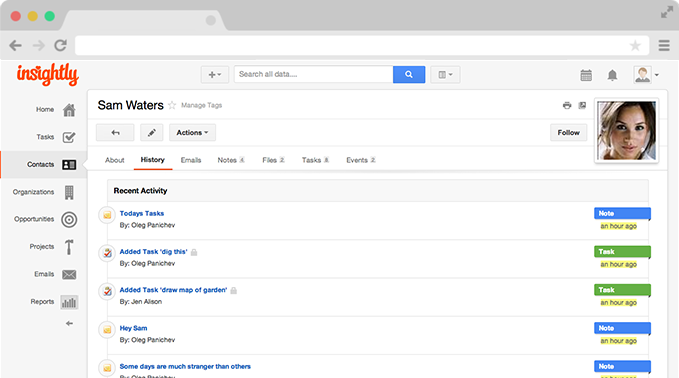 You can keep track of their phone numbers, e-mail, company name, and you can even make notes! I make notes in there about when I contact a customer and anything that they want me to remember. This has helped quite a bit and I type way faster than writing with pen and paper so it’s easier to take notes while on the phone. 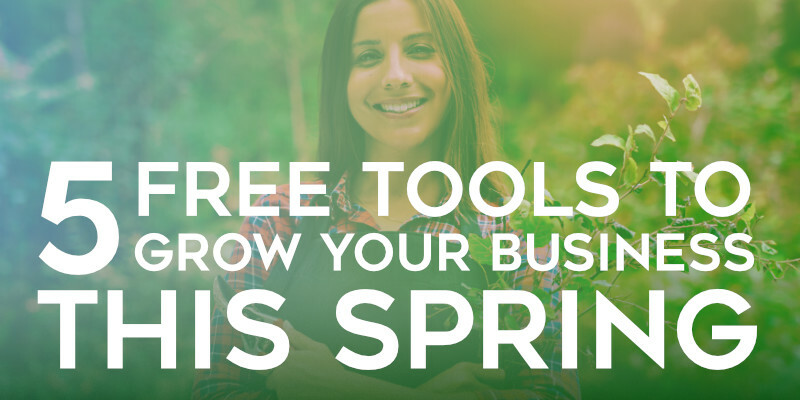 I hope that you have enjoyed these 5 tools that will help grow your business online this Spring. We hope that you find them helpful and if you already use some that’s terrific! If you haven’t heard of them, then I hope you to check them out. At Web Pyro, our goal is to help small businesses grow and thrive in their market, and if if there’s anything that you’d like to learn about to help your business grow, please feel free to drop us a line.